During the 19th century many of the traditionally described health benefits of black seed oil have been clearly confirmed through literature and research and during the last 20 years, there has been an extensive study on the pharmacological action of black seed oil. On the basis of researches and identified constituents, it is known that there are almost forty health conditions that may be benefited from the use of black seed oil / kalonji oil. and 35% plant fats and oil. According to (Ali BH, 2003) much of the biological and pharmacological activity of black seed oil has been shown due to the presence of its fixed and volatile oil component. Thirty-two compounds (86.7%) have been identified in fixed and volatile oils. Pinene: Mild expectorant. Colic properties. Carbony: Anti septic. Anti microbial properties. Carvone: Anti colic. Flatulence properties. Limonene: Treatment of gall stones. Nigellone: One of the most important component of the volatile oil found in black seed oil in 1985. It contributes to black seeds effect against respiratory conditions. These compounds also have anti histaminic action and provide relief from allergies. And also provides protection against nephrotoxicity or hepatotoxicity induced by other chemicals and diseases. According to research by (Meddah B, 2009)8 that black seed oil directly inhibits intestinal absorption of glucose and improves glucose tolerance within 30 days of its use and this proved its effectiveness against diabetes. 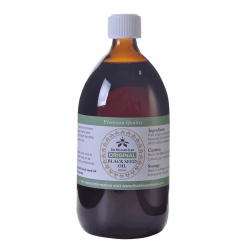 Black seed oil / kalonji oil possesses anti helico becter pylori properties. According to (Eyad M Salem, 2010)5 black seed oil possesses useful anti ulcer property, eliminates helicobecterpylori which is a causative agent of ulcers and its efficiency is comparable to triple the effect of conventional therapy for ulcers. 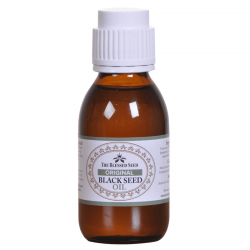 The black seed oil has been known to lower blood pressure. A latest study by (Farshad Roghani Dehkordi, 2006) 6evaluate efficacy of oral black seed oil extract in hypertension patient. The result of study shows that after 8 week treatment with blessed seeds the blood pressure value in patients was significantly decreased as compare to baseline. On the basis of this research it is suggested that daily use of black seed oil for 2 months may lower blood pressure in patients with complain of mild hypertension. 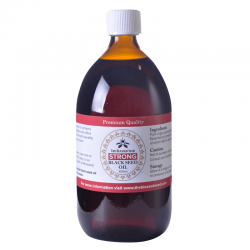 According to research by (Rana Keyhanmanesh, 2009)10 thymoquinone the main constituent of black seed oil was proven to be most effective for the treatment of asthma. The volatile oil present in black seed oil has proven to be an excellent protective agent for treatment of bronchial asthma and bronchitis. A research by (Abdul Hannan, 2008)1 proved effectiveness of black seed oil / kalonji against staphylococci bacteria and the study clearly shows that black seed oil has an inhibitory effect on methacilline resistant staphylococcus aureus. The black seed oil constituent was proven to be very effective against various types of cancer. one of the research studies by (Elsayed I Salim, 2003)4 demonstrate that black seed oil has the ability to inhibit colon carcinogenesis in rats. 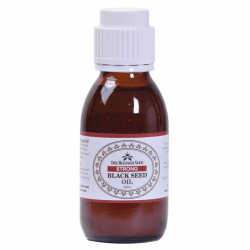 The black cumin seed oil is a remarkable herb and it has been now proven that this herb is valuable against a number of different medical conditions including cancer and respiratory illnesses. Not Just that benefits of kalonji seeds also include cure to skin diseases, irritations and stomach ache, lower cholesterol and protects against heart attack, controls sugar level. This home remedy can be used as a personal care for hair falls, acne control, weight loss, improve immune system etc. Abdul Hannan, S. S. (2008). Anti bacterial activity of Nigella sativa against clinical isolates of methicillin resistant Staphylococcus aureus. J Ayub Med Coll Abbottabad , 20(3):72-4. Abdullah O Bamosa, H. K.-M.-S. (2010). Effect of Nigella sativa seeds on the glycemic control of patients with type 2 diabetes mellitus. Indian J Physiol Pharmacol. , 54(4):344-54. Ali BH, B. G. (2003). Pharmacological and toxicological properties of Nigella sativa. Phytother Res. , 17(4):299-305. Elsayed I Salim, S. F. (2003). Chemopreventive potential of volatile oil from black cumin (Nigella sativa L.) seeds against rat colon carcinogenesis. Nutr Cancer. , 195-202. Eyad M Salem, T. Y.-Q. (2010). Comparative study of Nigella Sativa and triple therapy in eradication of Helicobacter Pylori in patients with non-ulcer dyspepsia. Saudi J Gastroenterol , 16(3):207-14. Farshad Roghani Dehkordi, A. F. (2006). Antihypertensive effect of Nigella sativa seed extract in patients with mild hypertension. Braz J Med Biol Res , 39(4):421-9. Hajhashemi V, G. A. (2004). Black cumin seed essential oil, as a potent analgesic and antiinflammatory drug. Phytother Res , 18(3):195-9. Meddah B, D. R.-A. (2009). Nigella sativa inhibits intestinal glucose absorption and improves glucose tolerance in rats. J Ethnopharmacol , 121(3):419-24. Nickavar B, M. F. (2003). Chemical composition of the fixed and volatile oils of Nigella sativa L. from Iran. Z Naturforsch C , 58(9-10):629-31. Rana Keyhanmanesh, M. H. (2009). The effect of thymoquinone, the main constituent of Nigella sativa on tracheal responsiveness and white blood cell count in lung lavage of sensitized guinea pigs. J Ethnopharmacol. , 126(1):102-7.